Since you found this article I’m assuming you either have made the decision to coach a little league team, or you are thinking about coaching baseball. Let me tell you coaching youth baseball is a very rewarding experience. The typical person that gets involved with coaching youth sports is a parent wanting to be involved in a sport with their child. You take the job of coaching your child rather than risk getting one of those yelling, pushy youth coaches that we have all either heard of or seen. That reason alone is a good reason to become involved. Early in your coaching career you will learn there are lots of kids not getting much attention from their parents, especially the dads. It usually is one of two reasons, divorce or career. The reason doesn’t really matter; the result is you will soon become a male figure in that child’s life. Don’t take that responsibility lightly. 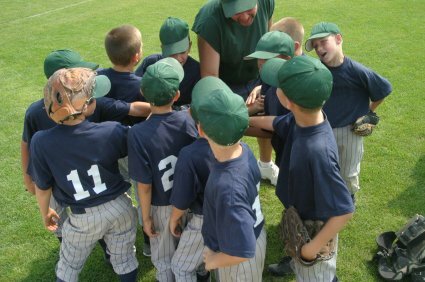 An overbearing coach can ruin a kid’s outlook on sports. And the problem usually centers around winning at all cost. As a coach it is easy to get wrapped up in the idea you must win or try to win every game. Yes, winning is fun. But winning at any cost is not. Remember, they are just kids. You should have two goals for every player on your team; to learn and to have fun. Anything above that is just icing on the cake. So step back from coaching baseball every so often and make sure those two goals are being accomplished. One other big coaching baseball tip that needs to be talked about is coaching your own child. You will be so worried that you are giving him or her special treatment that you will go over board on disciplining them. It is impossible to look at your child through the same eyes as the other players, so just be aware that you might over react negatively to their play. Try to keep a level tone of coaching baseball with them. A sad but true fact is parents will be your biggest problem. The first thing you need to do with a new team is have a parent’s meeting. If that is not possible, then a well written letter or email is a must. State your goals of coaching baseball and how you plan to accomplish them. Let them know what they can expect out of you, and what you expect out of them. Unless you make it a big point, parents and their child will arrive late at practices, and even worse games. Make it well known the number one thing you expect out of them as parents is getting their child to practice and games on time. Some people just don’t understand that you cannot arrive five minutes late for a game and still get in the starting lineup. Communication is important with coaching youth baseball. There is communication with your players so they know what you are expecting out of them. And communication with the parents on practice and game times, and any other administrative items that need to be discussed. Be sure to get email addresses and your life will be easier. And make it a two way street. 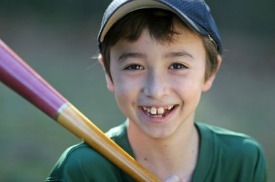 Tell parents you would like to know ahead of time if Johnny is going to be late or miss a practice or a game. If you communicate well with them, then they are more likely to communicate with you. 1. Be a good role model. Kids and parents will look up to you until you give them a reason not to. 2. Be aware that you will not treat your own son the same as you treat the others. It just doesn’t happen. But remembering that fact will help. 3. Communicate with the parents. You may still have a problem or two, but you can prevent many problems with a good open line of communication. That’s it. Now go coach your team and have some fun.